A 23-floor rose gold architectural landmark, rooms with cityscape views, and endless services to soothe you into the vacation mood, whether you’re travelling for a luxe getaway or for business. The Fairmont is a contemporary and charmingly unreal experience, one that should be on everyone’s bucket list. 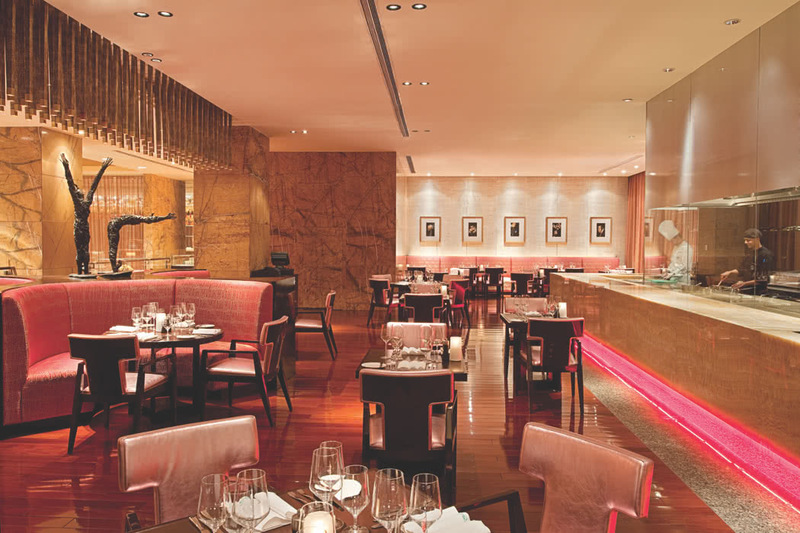 With indulgent suites, impeccable service, decadent décor, and authentic cuisine, you’ll be sure to find your every need met when visiting the Fairmont Beijing. 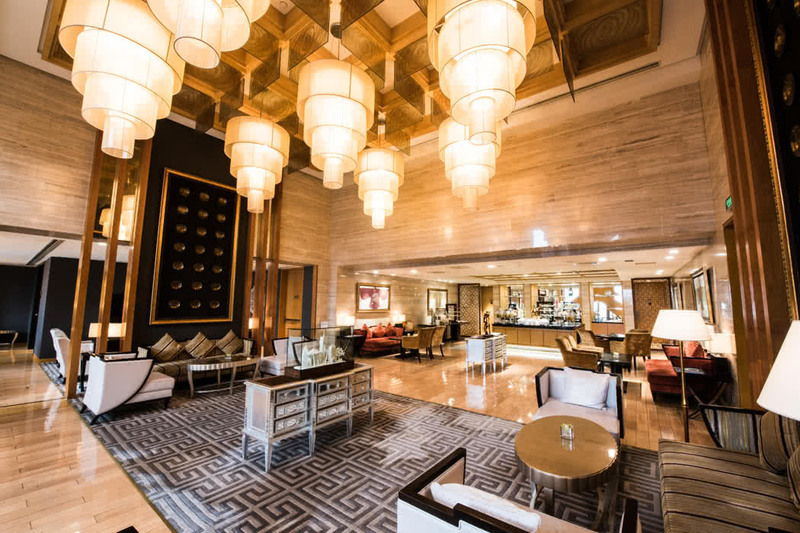 Fairmont Beijing is a member of our Lux Hotel Collection which means that when you book a room via our luxury travel concierge you get brilliant extra benefits at no extra cost. 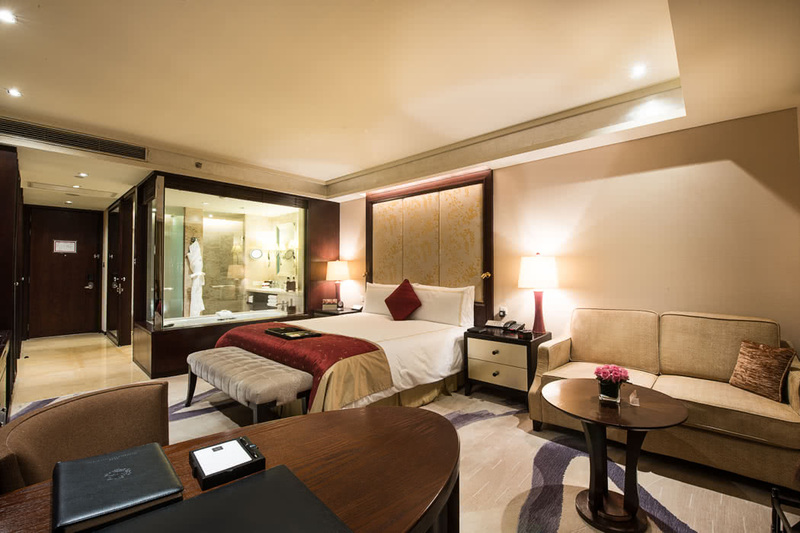 Our exclusive FREE benefits at Fairmont Beijing are a complimentary late check out until 3pm (subject to hotel availability), free upgrade to next room category (subject to hotel availability). Guests booking a paid 60 minute Spa treatment will get a free upgrade to a 90 minute Spa treatment. 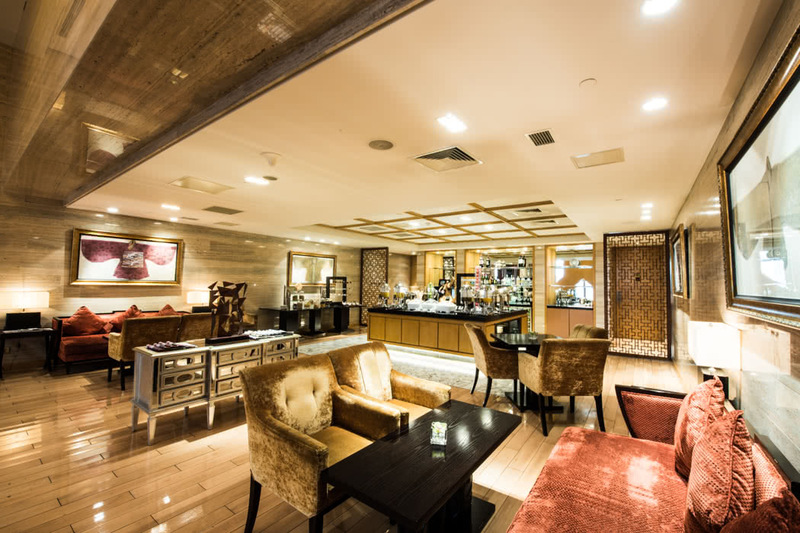 Offering guests a distinctive stay in the heart of China’s modern capital business centre. 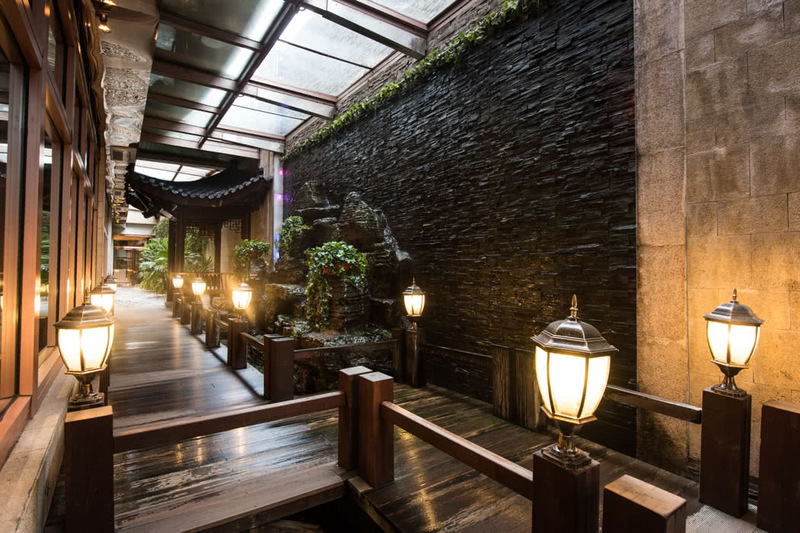 Located in the business district, the hotel has easy access to popular tourist destinations such as Wangfujing Street and entertainment center, the Forbidden City and the Tiananmen Square. 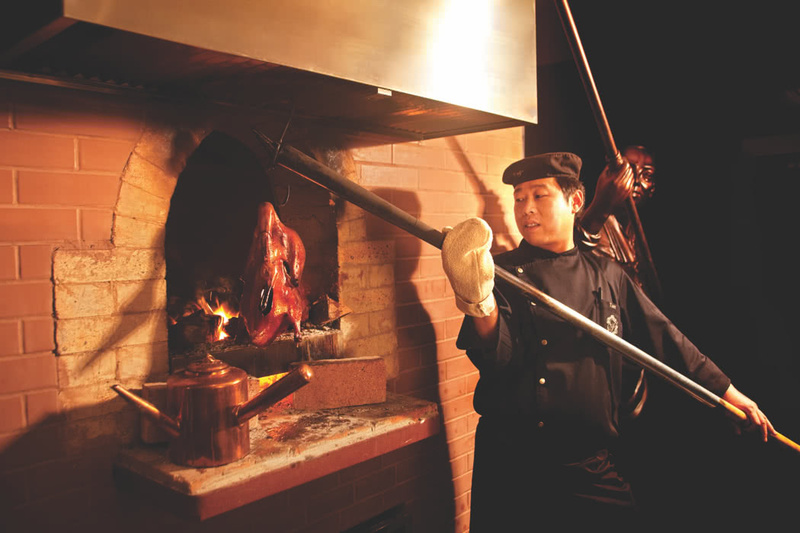 The Fairmont is close to the subway, ideal for exploring the rest of the spectacular city, and only a short walk away from the Tonghui River, which provides a breathtaking scenic view of the business district in all its glory, and the Silk Market. During the months of March to May, and September – October, you’ll be sure to find the best climate in Beijing, as well as experiencing the colourful scenery. Summertime can offer blistering heat, and the Winter can be harshly cold with the opportunity of snow. January is said to be the coldest month with an average of -4 °C (25 °F), and the hottest month, July at 26 °C (79 °F). Between July to August, you will find the most rainfall. Throughout the year there are plenty of festivals, which provide great opportunities to understand local life and custom. If you’re searching for direct flights, Heathrow (LHR) can be found to offer the most. Flights departing from Heathrow will arrive in Beijing Capital International Airport (PEK), which is the closest airport to The Fairmont and only a 40 minute drive away. A non-stop flight from Heathrow to Beijing Capital Airport is a rough estimation of 10 – 12 hours. Flights from Gatwick (LGW), and London City Airport (LCY) are available but with one stop, and flight time can range from 14-24 hours. Guests feedback suggests that the Fairmont Beijing is the best of all The Fairmont hotels in the world, with personalised touches and impeccable service. With top quality amenities, unique architecture and superlative décor, your stay will be non-other than a deluxe, self-indulgent experience. 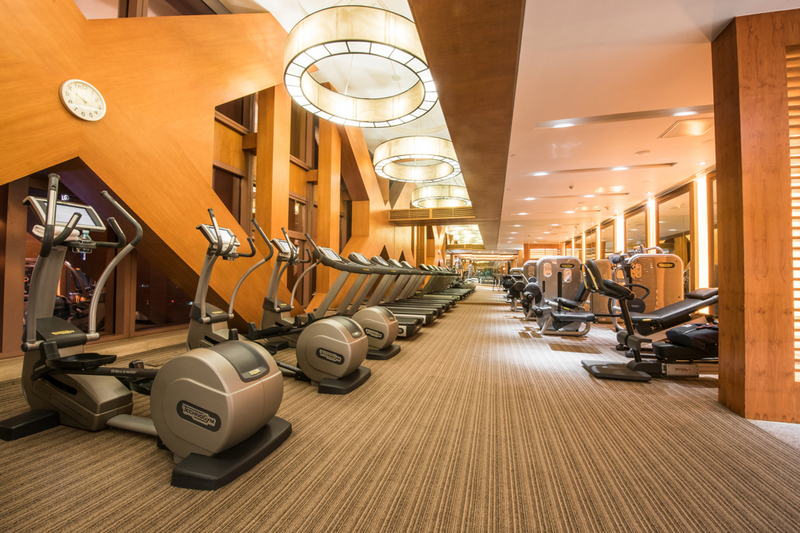 The Fairmont offers elite services, including their indoor heated swimming pool with jacuzzi and sauna, selection of 2 restaurants and 2 bars, a fitness centre with techno gym equipment, personal trainers and private yoga instructors at hand, as well as the Willow Stream Spa, which has been rated one of the best in China. You can be sure to unwind in the urban oasis, that The Fairmont Beijing has to offer. In total the hotel offers 222 suites, each with air purifiers from Blueair, to provide the hotel with certified clean air and enhance the guest experience and well being. From the deluxe rooms to the presidential suite, there is plenty of choice to fit your specific needs, from budget to comfort. 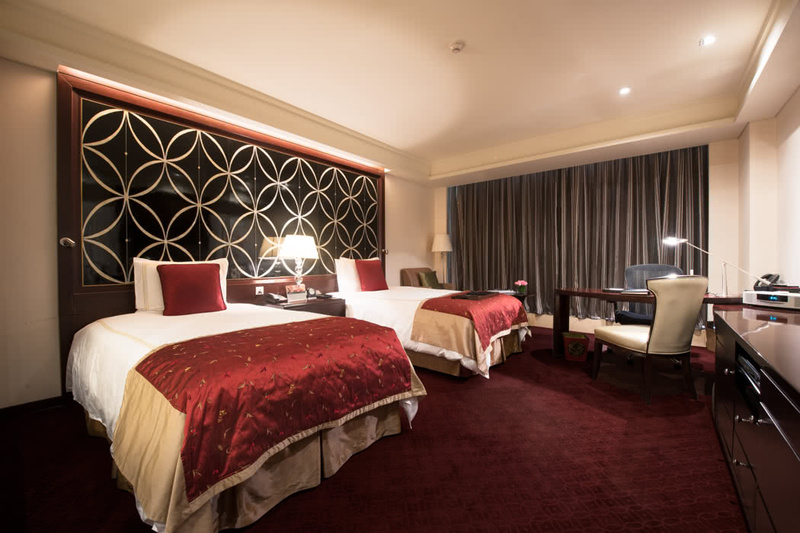 Guest rooms offer first class amenities, including cutting edge technology, hand selected linens and spa inspired bath products, king sized bed, oversized bathtubs, WIFI, and a wondrous cityscape view of downtown Beijing. Other amenities include: Easy mood light settings, daily newspapers, 24 hour in room dining, AC and floor to ceiling windows. 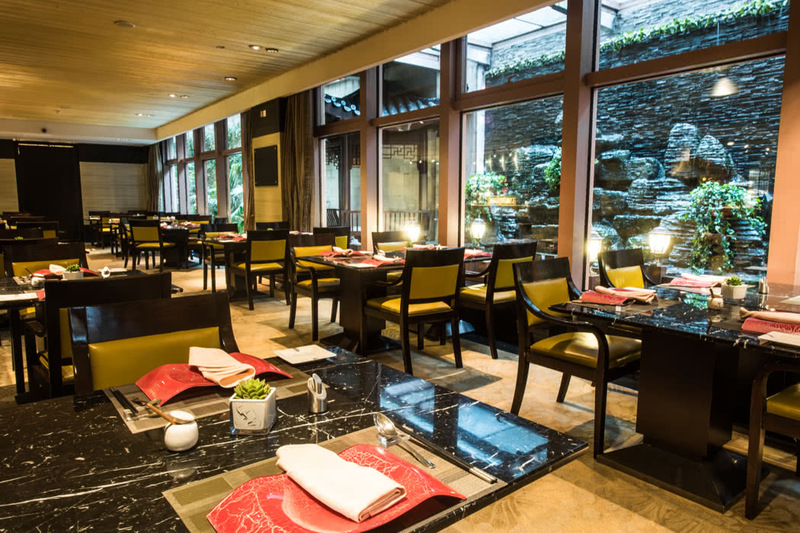 Lunar 8, specialising in Chinese cuisine and The Cut, an American Steakhouse can be deliciously found at The Fairmont – both award winning restaurants with a wide selection of delectable food and drink to choose from. 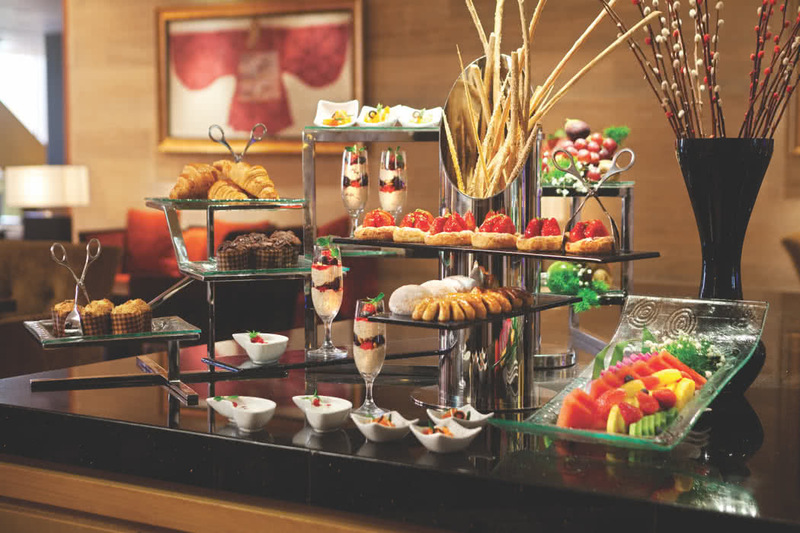 Guests recommend the breakfast buffet, and from Lunar 8: the Beijing Duck and Kung Lao chicken. 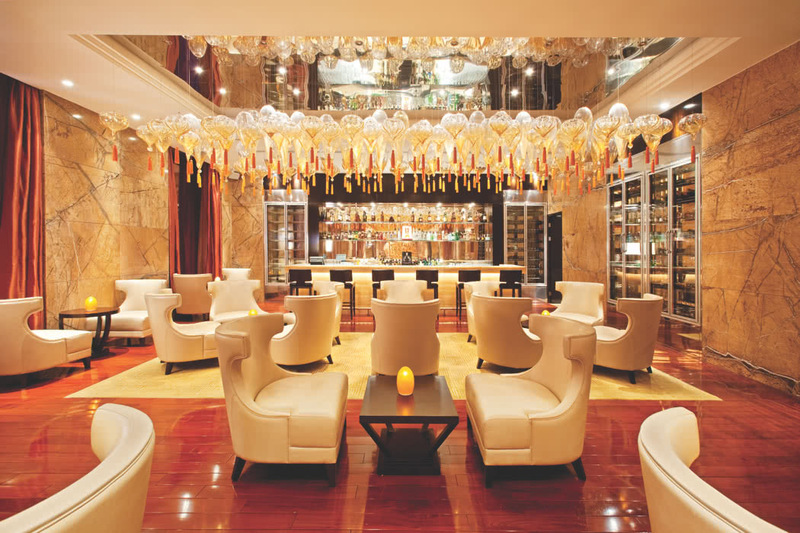 Afternoon Tea is served between 14:00 – 17:00 in the lobby, and the Champagne bar which overlooks a $1.5 million dollar crystal chandelier is iconic for its cocktails, fine wines and spirits. 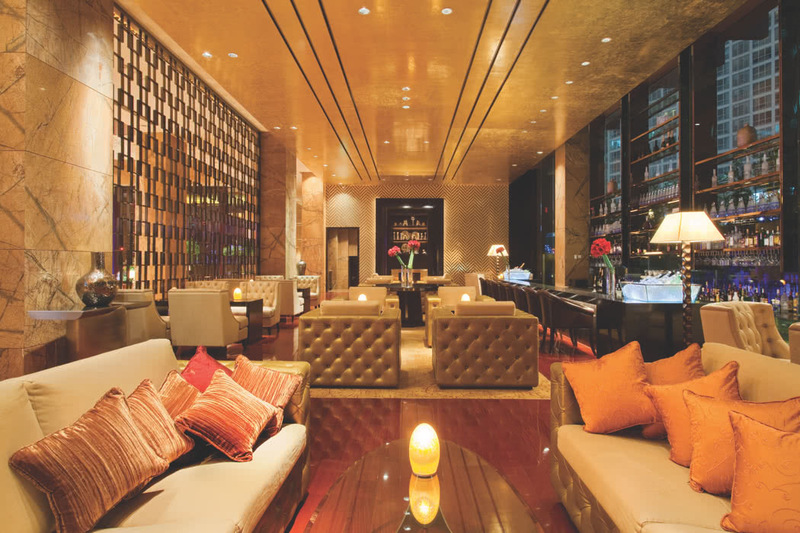 The urban sanctuary of The Fairmont is one of the best-rated hotels in Beijing. 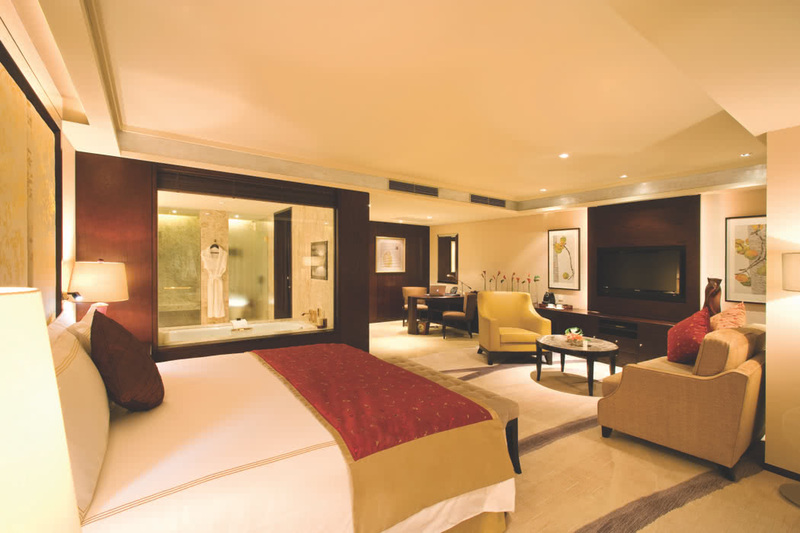 Its spectacular interior, and gold architecture breathes an unstoppable, lavish stay. 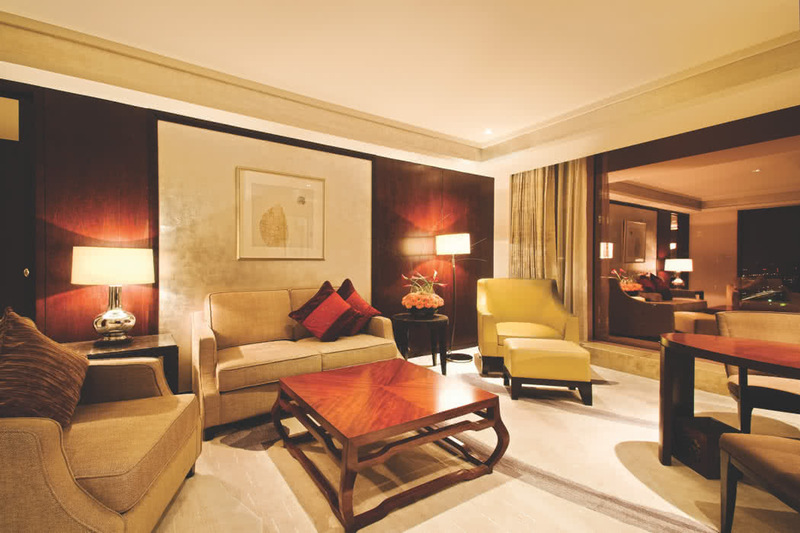 Fairmont Beijing is an ideal choice offering comfortable elegant accommodations and timeless attentive service.